Analog Dan was busy this month, but the rest of The Relay banded together to get the monthly report summary done! Lots of streamlining from the engineering team, working to lessen loading times in hangar, removing bugs from FPS/AC integration, and datastore cleanup in preparation for multicrew and multiplayer hangars. The Design team is very busy with new ships and game modes, focusing greatly on the Genesis to flesh out that style of gameplay. Bug fixing on the Scythe, Super Hornet, and Delta, as well as a few animations for the pilot seat of the Retaliator, were all implemented. The Artists at CIGSM have been finishing up the Merlin in order for it to be flight ready. The Bengal exterior has entered whiteboxing. Damage system is being implemented on current flight ready ships, however the first to be finished is the Scythe which should also be coming in the next patch. Character artists have been pumping out concepts, finalizing a gold standard for character models with the new shader tech, and finishing up flight attendants and new armored Vanduul characters. PU Concept Art team is working on the Levski landing zone, finishing up work on statues, large machinery, and military character details. The Environment team is wrapping up final detail on Levski as well, finishing up VFX and lighting. Levski should be finished next month. Area 18 had a layout revision in prep for the Social module, as well as optimization. Mark Skelton and Tony Zurovec have been providing direction for these changes as well. The Character team finished the SATA Ball model, which was the test run for the new character pipeline. The Animation team is wrapping up the female skeleton, polishing FPS and Social animations, and standardizing templates for ship/character animations. PU Design team hsa revamped the initial designs on the Bounty Hunter, Mercenary, and Piracy occupations, as well as drafting the Smuggler and SAR careers. They’ve also working out how NPC’s will interact with objects, as well as deciding which landing zone will be done after Levski. 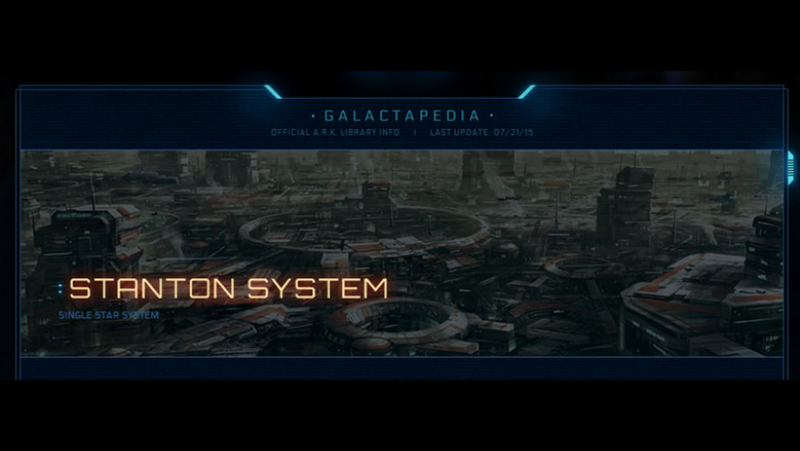 This zone will be in the Stanton system, just not sure which (Hurston, MicroTech, and Crusader are all on the table). The Engineering team is working on the Gamescom demo as well as support for upcoming releases. Most of all they have worked on (and now finished) the General Instance Manager, with tons and tons of bug fixing. Optimization across the board as well. DevOps is working on the new launcher and the 2.0 build is what is being used internally. 2.1 will bring faster downloads and smaller patches. 3.0 is being worked on all the while, which is a complete UI overhaul. They are also working on a new build server so builds can be updated internally much faster. The “Phoenix” environments system is also being worked on, which makes sure config changes are where they need to be, makes sure that PTU and Production environments are the same ones QA tests on, and speeds things up overall. The Animations team at F42 are working on getting AI animations for enemy actions working. Enemies sliding into cover, avoiding grenades, etc. The Engineering team are doing a lot of work on AI as well, from getting a new communication system up and running to getting AI to use cover more effectively, to getting the system ready to handle more AI objects at once. The Engineering team are also working on the UI and augmented reality relays for gameplay elements like looting, which will be required for SQ42. The Engineering team are also doing set-up work on multi-crew ship UI’s, from how Captains will delegate tasks, to how players will be able to customize their individual UI stations. The Graphics team are working on making large areas, such as asteroid fields, look and perform better, and say we should see the fruits of that progress soon. The Technical Design team is growing, and has started taking on tasks such as FPS weapon balance. the AC team now have the ‘large world’ code, and are starting to see what can be done with larger maps. Technical Design team is also working on getting a basic form of quantum travel up and running. QA working on testing FPS, and on getting ready for Gamescom. A large number of very important code branches, including the Large World code, the Camera Relative code (rendering coordinates relative to the camera thus allowing galaxy size rendering without loss of precision) and the Zone system have all now been implemented. Additional effort went in this month to supporting the local physics grid for multicrew ships, and to cleaning up bugs left in the CryEngine code. AI work has been done this month on making AI movement better. Work has begun on a new build system, which should give the team more options when it comes to putting together and releasing builds. Finishing work on FPS lobby; moving on to working on adding multi-crew ships to the lobby UI. Working on the current Holotable to cut down on ships needing to spawn into the game to be used in AC. This will help reduce loading times and pave the way for server hosted Hangars. Still working on polishing the mobiGlas (AR) shopping and general experience. Working on various planetside locations; everything from setting up elevators to going over level designs. Polishing the Nyx asteroid map and improving navigation and performance on previous maps. Work continues on the new Holotable design, and additional clean up on the simpod and other tasks. Sean Tracy, Steve Bender, and Jason Hutchins were/are in Denver helping; working on movement and 1st/3rd person animations. Work continues on the start/stop/juke system and the associated animations; five different movement speeds have been implemented. Steve Bender has been giving quick feedback on the start/stop/juke system and the team has been reacting to that feedback just as quick. Art optimization continues on the Gold Horizon Station, as well as making sure assets are up to the high standards set by Foundry 42. Balance and design tweaks are ongoing on the Gold Horizon station; item placement, door placement and behavior, and sight line adjustments to name a few. Interview in the June issue of Jump Point discussing current and future projects. Work continues, and will continue for the next couple of months, on the Starmap; including but not limited to: main art for the viewer, HUD improvements and filtering options, data tie ins for Galactapedia entries, 3D assets creation for the various planets, jump points, space stations, etc. TL;DR: Work continues, and will continue for the next couple of months, on the Starmap. Worked so hard on the Issue Council that it stopped being intuitive; took to the whiteboard to create a better user interface. Implementing the Community Hub has continued throughout the month; basically created their own version of reddit. Created new Moderation tools for the moderators, both for the forums and for the upcoming Community Hub. Had fun working on the Genesis Starliner post; which allowed them to use some early website concept work they really liked. Backend work included adapting to changes from Amazon and PayPal for handling payments, and creating new tools for Customer Service. The team created a new programming tool for the designers that allows them to write behavior trees using custom data management tools the designers were already using. Spent this month getting feedback on how their tool was actually being used, and are adjusting accordingly. Issues worked on included needing more documentation, fine tuning the tool’s UI to be more intuitive, and streamlining the more commonly used function at the expense of the infrequently used ones. Work on improvements are expected to continue through July. TL;DR: New tool created to allow for faster and easier AI programming; improvements to the tool are ongoing. A behaviour tree was also added to the Kythera debugging tool; a significant improvement over the old simple text debugging tools; more useful information overall and much better for larger more complicated behavior trees. These tools, along with upcoming features and existing tools for recording AI behaviour, will give designers a full suite of tools for debugging behavior trees. TL;DR: Second tool created/added that allows for faster debugging of more complex AI systems. String hash: Built it feature of Kythera that allows their code to be less resource intensive, easier to use, and easier to debug; they’re adding a similar version of this to the rest of the Star Citizen codebase, and work continues integrating the new code. TL;DR: String hash: Better and easier to use/debug type of Kythera code being added to the main SC codebase. Added new pathing (stunt splines) that allows ships to fly close to and through open sections of large ships and space stations they normally would avoid; AI would use these for retreat, and are AI skill dependent (some may only be available to elite AI). TL;DR: Added new stunt spline that allows AI to fly through tight areas of asteroids, capital ships, and space stations; mainly for retreat by elite AI. First anniversary of Around the Verse; proud of what the show has become over the last year. Felt the Starliner segment was their strongest piece yet; expect to see more like this in the future. Community team will try and be more interactive on the forums going forward. The team is eager for Star Marine, but also want to be available to answer questions and concerns. Working to relaunch the “Ask a Dev” section of the forums for more direct interaction with the devs. Sad to see Chelsea Day leave their team, she was a good friend and will be missed; Patrick Probst will take over the CS manager position in the UK. And that’s it for this month! Stay tuned later this month for another segment of the State of the Game, and look forward to another monthly summary next month!